"Gladiator combat in a mythic age." 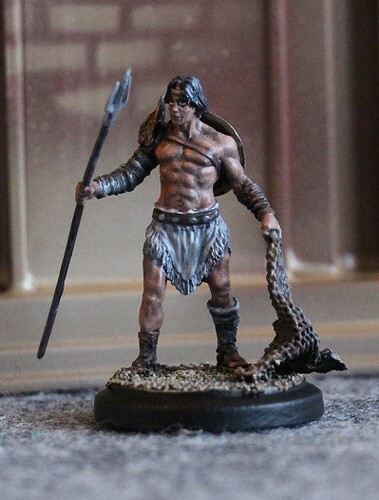 I noticed their Kickstarter a while back and thought the minis were pretty ace. I picked up a set of 11 with my pledge level as well as the rules and various other bits and bobs. I haven't played it yet but the rules look simple enough. A bit like Malifaux, except without the cards. 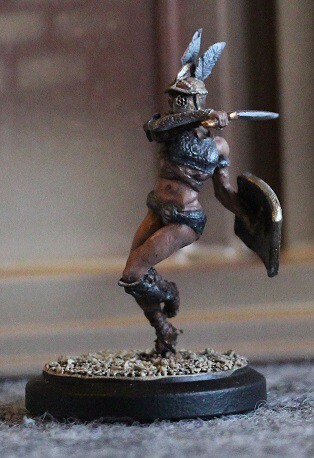 Collect a small group (3-5) of Warriors from the same 'Ludus' or Gladiator stable, throw 'em down on the table and roll some dice. Favour dice, gained from damaging an opponent etc add an extra element to play, as well as lethal and non-lethal obstacles, not to mention Lions and other beasts. 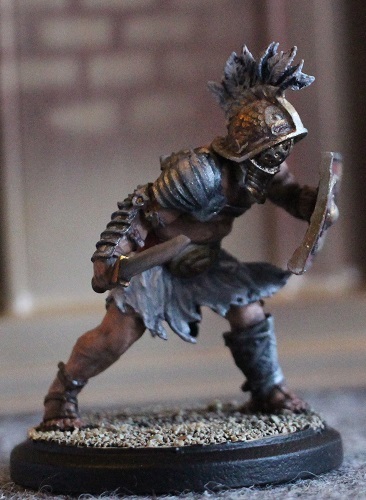 Here are some close ups of the gladiators. 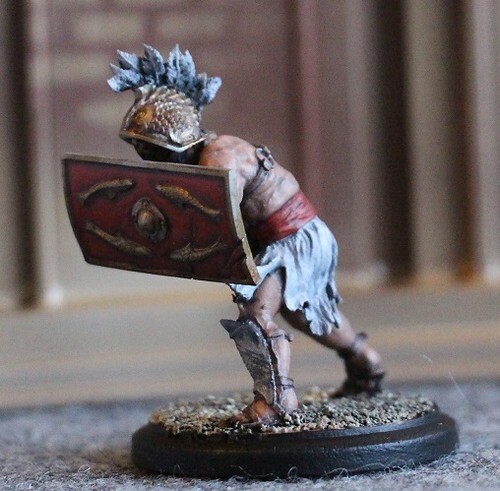 They are all from the same faction, which is based on the 'traditional' gladiator imagery. The other 3 factions are based on Roman nobles/soldiers, Egyptians and Norse/Native Americans. I have models from the latter two. There are also various large scale monsters, including a giant Lion, a giant ridden Scorpion and a Wendigo. Their e-store is going live shortly by all accounts. If any of you lot are interested I can send you the play test rules as a PDF. I also got a second-hand Playmobil Colosseum that I am painting up to use an Arena which you can see in the background of the photos. Who wants to help me try it out at January's Joshin event? Re: "Joey, have you ever been in a Turkish prison?" Regular ole 28mm. The bottom guy is on a larger base than the others. He's about the size of a Black Orc compared to a regular Human. The concept art is really nice. All th factions look pretty cool too. Mike: Surely, you must have known I would be an "Airplane" fan. Prim: No, it never occurred to me and stop calling me Shirley. @Spev: Save your Otoshidama money for when the online store opens up. I might even make another trip down to Yokkaichi if you do. Very cool looking stuff, Mike. Great work here Mike. It hardly needs to be said but I'll say it anyway. 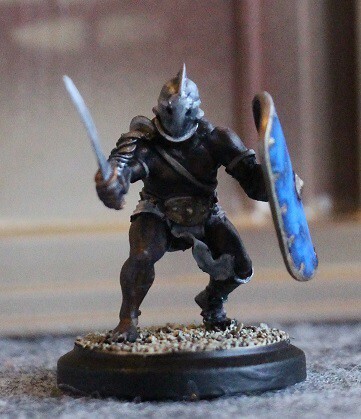 Very well done on these minis.